3 year old: We have joint winners. Unfortunately our guest speaker for February could not attend, so the association were very grateful to Meirion Davies and Richard Miller of the Heniarth Stud who kindly agreed at short notice to attend the evening, and was lovely to see so many members supporting the evening. Richard and Meirion gave us an interesting, humorous and most enjoyable evening on their trips to Australia, and how they came about purchasing their colt who they imported from Australia back to Heniarth. Members and friends made it to the Xcel bowling club at Carmarthen for an evening of ten pin bowling, even though there was some serious competition on some of the lanes, it was a fun filled social evening with everybody having a go including the associations president at nearly 83 years of age!! The annual Christmas dinner was once again held at the Rugby Club Lampeter where attendance was very pleasing, following the traditional dinner the results were announced for the new Progeny competition that was held in August/September. ten studs entered the competition with the end results being very close. Taking supreme Champion was the Fronarth Stud with the reserve going to Fairywood stud. for full results please see the Progeny page. 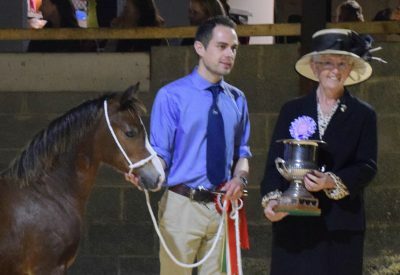 Following the Progeny results the annual Association points competition was announced Supreme was Henfenyw Stud with Corscaron Stud reserve, again see the points page for full results. 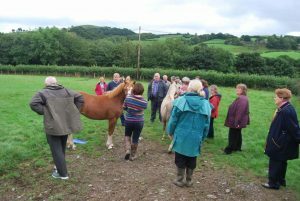 In November our guest speaker was Mrs Liz Launder of the Skelwith Stud gave a very educational talk regarding horse osteopath. The October meeting was a very enjoyable evening in the company of the Welsh Pony and Cob Society President Mrs Betty French who gave an interesting talk and slide show of all her ponies at the Forlan Stud. 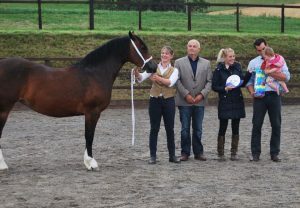 A great day was had on our Annual Stud Visit on Sunday to the Bronheulog and Perthog Studs. We as an association would like to thank both studs for all the hard work they had done and their very kind generosity. Much appreciated. A fantastic day out seeing a George Prince of Wales Winner looking tremendous.